Glass room divider creates an illusion of space. You can make glass partition between functional rooms. Let us take an example, give partition between a fitness room in the basement, a living room and kitchen, a bedroom and living room, or a dining and kitchen, also. A clear glass room divider creates the impression of expanding the room. Even a small apartment can give spacious look. To make your home look wide, just use clear glass to make a wall between rooms. You may want natural light in your room or your house is small or you have an open floor plan. You may use glass room dividers or glass walls. Depending on your taste, it may be of clear glass or frosted glass. The open floor plan is popular nowadays, where the all functional rooms flow together without any walls. You need some privacy in your home, use some partition in your house. 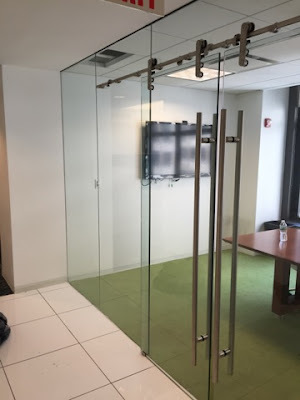 You can use clear glass wall partition or frosted glass partition. Frosted glass would be nice for bedroom separation. Because the texture of the glass make it less translucent than clear glass and provides privacy. We, at Laminated Glass NYC, are always ready to help you with the implementation of your ideas!